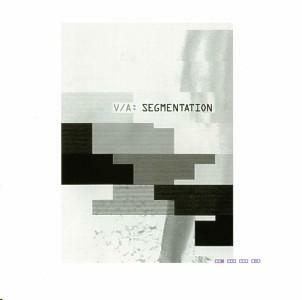 Experimental electronic music label Segment specializes in “creative digital audio design and unusual sound research”. Primarily the home of IDM artist Autism (and his minimalist side project Disposable), Segment has expanded their range of artists with Segmentation, their first compilation. Autism hails originally from Belarus in Eastern Europe, but has lived in Germany, Russia, and currently makes his home in New York where his label is now based. On Segmentation, he’s had the opportunity to expose some more musicians from Belarus to the west, as well as including musicians from other parts of Europe and the US. The result is a varied collection of modern electronic moods, grooves, and experiments that explore the many facets of the ambient techno, ambient house, and minimalist electronic genres. The stylish, melodic, and moody sounds of Belarusian artist A. Kowalski both open and close the album with White Closer and Loa, and are among my favourites on the CD. Autism himself presents two of his own tracks, the urgent and pulsing Theb Lu Eprin Teater and the complex, clicking, shivering, melodically shifting Toom Anys Ilverth Oughts (from his ((Vibro)) CD, which I reviewed in AI #21-read it here). Alex Treecity, a guitarist and experimental artist from New York contributes a couple of short but effective tracks in Beach Asterisks and Bulb:Beam:Burn, both of which manage to combine experimental structures with melodic sounds. Belarus’ Harmash (aka Vitaly Harmash) contributes the lush and organic Bolletus Collectanea, the liquid and languid Diazepem. In his alter-ego of I/DEX, he goes more for a kind of rhythmic futuristic sensuality on ComM and Dable_Racor. -ED, possibly the first ambient artist in Belarus (and who still lives in Minsk) gives us two deep, dark, and edgy tracks full of strange organic sounds in Coward and Dive Time. The UK’s Inbue, which is DJ/producer Jay Rudd and vocalist Veronique Perez, offer up two sensuous and exotic pieces. The luxurious Pose tes Yeux features Perez’s dreamy, whispering voice to nice effect amidst the electronics. The upbeat Scintilla is a terrific track of lush techno grooves that has a late night jazz feel to it in parts. On the more experimental side of things are two tracks from European artist Milkman, the first, Save Me Please, a dark trip of dripping sounds, electronic murmurs and clicking percussion, the other, Nobody Home, a short excursion into a strange, static realm. Autism’s side project, Disposable, also contributes the throbbing Natsnd Inbetween and the backwards tracked ambience of Inward Glider. If you’re into music like The Future Sound of London and Aphex Twin, you’ll find much to like on this diverse and stimulating collection of electronic music. For more info, visit: http://www.segmenter.com.